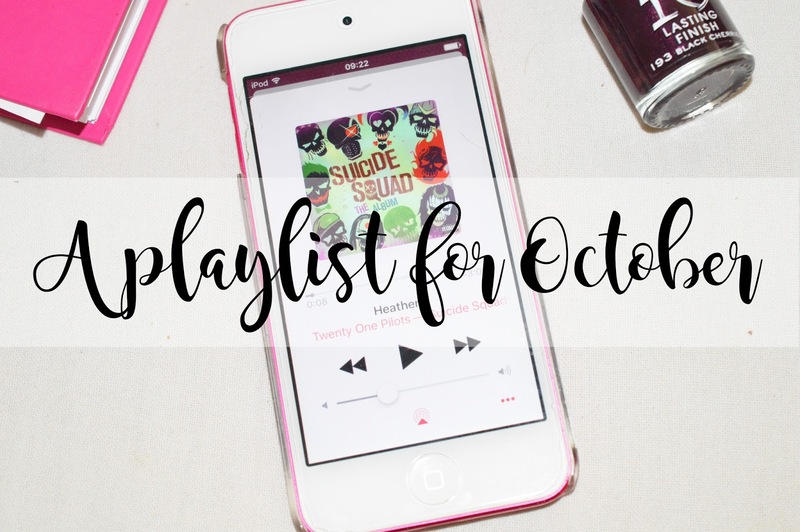 It's that time of the month where I get to share with you my playlist for the month, and I am so excited for this! I have recently found some amazing songs which are currently in the charts and I am prepared to list to them every single day throughout October until I get sick of them! Even then, I will still listen to them! So, I've noticed this month's playlist has mainly male artists, not sure what this is hinting. Maybe the males are going through the roof right now with music, I'm not sure! But their songs are hits for me! 9. Zara Larsson - Ain't My Fault. Love this playlist! Bastille's new album is brilliant! Twenty One Pilots, Olly Murs, Shawn Mendes, Calum Scott - just some of my favourites! What a great playlist! I might need to have a look at the songs that I don't know! Such a great playlist! Dancing On My Own is such a tune! I have no clue what I'll be listening to this month! I'm a radio student and my favourite genre and artists change all of the time! Still Falling for You and Treat You Better are my jams! Have you listened to other Shawn Mendes songs? His latest album is amazing!